This session will be an outlook of the current state of the affairs of the European industry in respect to the legislative landscape including an update of the Plastics Strategy, plastics recycling figures in Europe, as well as initiatives on fighting marine litter. EverMinds™ - Embracing Circularity for a more Mindful future! The material focus sessions at PRSE will focus on the challenges, most pressing issues and opportunities lying within the plastics recycling sector. Each session will be dedicated to a specific waste stream. Tray recycling, how can it grow? Deposit collection, what volume can the EU expect to come? John A. Ortiz, Director, Product Stewardship, HP Inc. 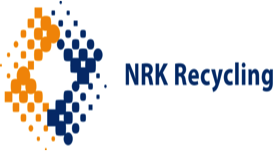 This session will focus on design for recycling and technological developments in collection, sorting, shredding, washing, extrusion and plastics conversion. This session will investigate the state of affairs of the polyolefins waste stream recycling including high and low polyethylene, as well as mixed plastics. Plastics Recycling Awards Europe is the celebration of the innovation and technological development of the sector. The Awards are given in 7 categories and this year’s finalists demonstrate the latest technological developments and innovative solutions intended for improving efficiency and the quality of recycling processes, and in turn making plastic products circular. They will be displayed in the Plastics Recycling Awards Europe’s Recycled Product Theatre. Eelco Smit, Senior Director Sustainability, Philips International B.V.